Let’s be honest – a lot of us live extremely busy lives. And because of this many of us have become pretty attached to our kitchen blenders, to quickly create those super convenient protein-based meal replacement shakes and smoothies that our busy lives demand. However, if you are like us, you may recently have been running across recipes for smoothies and shakes that include collagen as the protein source rather than other types of protein. But, is collagen the same as other proteins? With the promises of glowing skin and a youthful appearance, collagen protein seems like a win-win for that meal on the go. But before you blend, read what we have to share with you about collagen protein. Your collagen protein should not be counted toward your total protein intake! Read on to discover why. Collagen protein- think bone broth– has been in vogue lately for its promise of youth and vitality: supple skin, strong hair and nails, springy joints, and resilient bones. Yes, collagen is fundamental to your body’s smooth functioning. We don’t argue with these benefits. However, we commonly run across the blatant misconception that using collagen protein is the same as using other forms of protein such as whey or a plant-based combination of rice and pea. The truth is, it isn’t the same as other forms of protein! Not because there is anything fundamentally wrong with collagen protein, but because collagen is an incomplete protein – meaning collagen protein will not give you the complete set of 9 essential amino acids your body needs to keep you healthy . Best intentions aside, if you regularly make smoothies or meal replacement shakes out of collagen protein alone, you could quickly become deficient in your essential amino acids– the building blocks of protein. Read on to learn more about the benefits of collagen for health and beauty, how to balance it with complete protein sources that will supply you with the essential amino acids you need, and what you need to know about quality control. You will learn more about how protein sources- natural and processed- can be very, very different! We’ll also compare and contrast collagen protein to whey protein because both are commonly used in meals-on-the-go, and discuss how to use them to your best advantage! Collagen protein is a go-to to support wrinkle-resistant skin, build resilient bones, joints, muscles, and tendons, and grow hair, skin, and nails. Collagen production is robust until our mid-twenties when it begins to decline. With increasing age comes more collagen-degrading cumulative exposure to oxygen, toxins, sunlight, and other degrading factors. You make collagen, the most abundant protein in your body, from amino acids L-lysine, L-proline, and L-glycine with the help of vitamin C, iron, copper, and vitamin A. We eat collagen when we consume bones and joints or broths made from them. For many of us, ingesting collagen is rare in our modern diet- however when our ancestors ingested collagen they likely did so with meat and organs from the whole animal, which are complete proteins. When we ingest collagen, we digest it both partially into collagen peptides and fully into amino acids, which are more easily reassembled into collagen. Of the three human collagens (I, II, III), human skin is made of types I and III. Marine collagen (fish bones) is common in skin care products because it has free radical scavenging properties and is primarily type I collagen like skin tissue. Hydrolyzed collagen found in collagen protein powder is very easy to digest and helps support the skin lining your digestive tract. It has been shown to reduce inflammation, calm joint pain, improve calcium absorption, stimulate bone-forming cells, and help prevent the loss of bone density. Rich source of L-glycine. Collagen supplies abundant glycine, which can be used to not only make new collagen but also to reduce anxiety, support sleep, boost liver detoxification, and improve fat absorption (bile), and help balance blood sugar. Metabolic Maestro. This additional glycine in your diet is necessary to balance out excess methionine consumption from healthy animal proteins such as eggs, meats, and poultry. Gastrointestinal Healing. As part of the gastrointestinal tract, collagen protein can help repair the critical layer of epithelial (skin) tissue that you absorb nutrients through. These modified skin layers get gunked up like overused cheesecloth and need constant rejuvenation, which requires both complete protein intake for some structure and immune support as well as collagen to provide dynamic structure. Supple Skin, Strong Hair, and No-Break Nails. Concentrated in the tough inner layer of skin, collagen, works with keratin to bolster your skin’s strength, smoothness, elasticity, and resilience. Resilient Joints and Tendons. Collagen protein has been shown to reduce inflammation, calm joint pain, improve calcium absorption, stimulate bone-forming cells, and help prevent the loss of bone density., There is also evidence on the benefits of collagen supplements in reducing symptoms of rheumatoid arthritis and osteoarthritis. Mobile Muscles. Collagen is a big component of muscle tissue and supports muscle building, though you will need additional complete protein sources to build high quality muscle. Reduced collagen synthesis leads to muscle stiffness and soreness. Bone Building. Bone has a flexible component supported by type I collagen and a brittle component supported by minerals. Both are required for bone that is strong yet not brittle. Hydrolyzed collagen protein has been found to improve calcium absorption, stimulate bone-forming cells, and help prevent the loss of bone density. Sourced from dairy, whey protein is an easy to digest complete protein used in nature to support muscle building for a growing mammal. Beyond being a complete protein, whey protein has been shown to help balance blood sugar levels, improve bone density, support detoxification, encourage digestive repair, and build lean muscle mass. Choose whey protein concentrate, not isolate, to ensure you get all of the benefits listed below. Isolates are further processed to strip fats and other nutritional cofactors from the final product, which can rob you of health benefits. Isolates may be harder to digest as well. Allergy Appropriate Alternative? For those with allergies or intolerances to dairy, it is important to note that most people can tolerate whey protein because it is far less immune-aggravating than the casein proteins in cow’s milk that primarily trigger dairy intolerances, especially in those who cross react with gluten. Those with allergies may react to milk proteins that contain both casein and whey proteins, but there are also reports of many who can tolerate whey alone without allergic response. 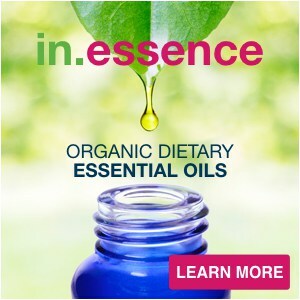 Digestive Wellness and Healing. Whey protein is often a good gut alternative to whole dairy products because it may not cause the damage some experience when they eat whole dairy products due to containing neither lactose, the sugar that many cannot break down enzymatically, nor casein, the dairy protein blamed for most gastrointestinal upset. Other gastrointestinal benefits include intake of alpha-lactalbumin that may help prevent gastric injury, ulcers, and other gastrointestinal pathologies. Whey boasts good levels of L-glutamine, the amino acid that helps the lining of your gastrointestinal tract heal and reduces cravings for inflammation-boosting sugar and alcohol. Muscle Maker. Your muscles are made entirely of protein and require regular intake to support them. Whey protein triggers anabolism (muscle building) more effectively than soy, egg, or casein protein. This ability to boost muscle protein synthesis is hypothesized to be due to its high leucine content compared to these other sources. Whey-t loss. 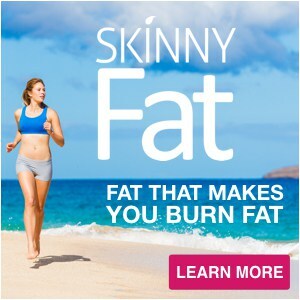 A study in the International Journal of Obesity showed that protein shakes can safely produce significant and sustainable weight loss while reducing disease risk, while a related study found that women who took in whey protein lost twice as much visceral (organ-cushioning belly) fat as the women who didn’t consume whey protein. Balances Blood Sugar: A 2014 Tel Aviv University study published in the Journal Diabetologia found that whey protein taken by type 2 diabetics 30 minutes before meals worked as well or better than diabetic drugs at improving the body’s insulin response and reducing blood sugar spikes after meals. Safely reducing insulin needs can significantly improve health outcomes. Cholesterol Cutter. Whey protein is an excellent source of L-tryptophan, which is in relatively low levels in many proteins. Research published in the journal Clinical Lipidology reveals that LDL cholesterol, often referred to as the “bad cholesterol,” is not a marker of heart disease but rather indicates an L-tryptophan deficiency. With this framing, a complete protein source such as whey may support healthy LDL cholesterol levels as well as statins. Driver of Detoxification. Whey protein concentrates contribute critical compounds for your health such as detoxification driver bovine serum albumin, which helps to boost glutathione production. Glutathione is a master antioxidant and detoxifying agent which builds a strong immune system and helps to fight infection, reduces inflammation, supports a healthy central nervous system, detoxifies your body and protects it from alcohol damage, helps flush out heavy metals such as mercury, increases strength and endurance, and promotes longevity. Whey protein is also a good source of L-glutamine, which can be conjugated to toxins to speed their release from the body during liver detoxification. Bone Builder. Adequate protein is both needed to support all body building, or anabolism- be it of muscle, bone, or other tissues. Without adequate protein cells hunker down and focus on repairing themselves rather than making new cells. Furthermore, protein is an important part of bone. Proteins both help complex minerals into the crystalline structure (hard part) of bone and build the collagenous (bendy part) of bone. Collagen is an incomplete protein because it is deficient in the essential amino acid L-tryptophan, compromising processes like backup production of energizing vitamin B3 or calming serotonin. Consider collagen a supplemental protein with health benefits, but if you rely on it as a primary protein source, your metabolic needs won’t be met. Don’t neglect to consume sufficient protein in your diet from complete protein sources, especially meat, poultry, seafood, eggs, whey (dairy), or mixed plant proteins. Collagen could be contaminated. Collagen has the potential to be a source of toxic contaminants. Consider that not just the meat and eggs, but also the bones and cartilage of animals raised in a nutrient-poor, toxin-rich environment can also store toxins, particularly heavy metals, and deposit them into a well-intentioned broth or protein powder. Safeguard your health by choosing organic, grass-fed, pasture-raised, or wild caught collagen. Want to get the benefits of improved collagen status without damaging protein intake in your diet? Reduce damage while promoting growth and healing of bones, joints, skin, and other connective tissues. Use food, lifestyle, and supplementation to achieve this. STEP ONE – FOOD: Choose foods that help your body build collagen while avoiding foods that cause damage. Meet your dietary needs from complete protein sources. Remember, collagen is a supplemental protein. Consider complete, clean protein sources such as whey protein or mixed plant proteins as a primary protein source- but also consider meat, poultry, seafood, eggs, and sometimes grain/legume dishes. At an absolute minimum we need 36 grams of protein per pound of body weight. For instance a sedentary 130 lb. person would need a minimum intake of 47 grams of protein per day. However, for those looking to do more than maintain minimum health or for those who require additional protein for activities, health needs or gender we recommend at least .545 grams of protein per pound of body weight (making the minimum protein intake for a 130 pound person 71 grams). Consider bone broth, but know its place. Bone and cartilage contain collagen, minerals, and other proteins, but bone broth is not a replacement for dietary protein. Additionally, bone broth has been shown to be a poor source of calcium. However, it is an excellent protein supplement when made with quality in mind. Bone broth is rich in L-glycine and L-proline, which help to make collagen. So don’t throw out your beef, chicken, or fish bones! Just make sure to always make your bone broth from organic/grass-fed/pasture-raised/wild-caught bones. Choose foods rich in vitamin C. Vitamin C helps to protect you from joint diseases, aids in collagen and elastin synthesis, and supports structure of the bone matrix, skin, tooth dentin, blood vessels, and tendons. Get vitamin C in fresh fruits like citrus or papaya, fresh vegetables like broccoli or yellow bell peppers, and fermented vegetables such as sauerkraut. Choose foods rich in vitamin A. Vitamin A supports the growth of the bone matrix, tooth dentin, blood vessels, and tendons. such as liver, meats, chicken, and eggs as well as plant sources of beta-carotene, the precursor to vitamin A, found in dark green and orange plants. For most, eating some animal foods will ensure that you have your bases covered regardless of your ability to convert beta-carotene from orange and dark green plants to the active form of vitamin A. For those on a primarily plant-based diet, we recommend supplementing with a safe daily dose of preformed vitamin A in the retinal form. Choose wild-caught, fatty fish rich in omega-3 fatty acids such as salmon, mackerel, herring, sardines, anchovies, caviar, bluefish, capelin, sablefish, and tuna. Bonus points if you choose smaller fish, such as sardines and anchovies, because you can consume the cooked bones and get a great direct source of collagen and complete protein as well. Oysters, clams, conchs, lobster, shrimp, and crab have the same omega-3 content as lower omega-3 content fish. Choose proteins rich in the amino acid L-lysine such as meat/lamb, poultry, dense cheeses such as parmesan, and fish. A vegan diet can easily become deficient in L-lysine, and we don’t want you to miss out. If you don’t absolutely love high L-lysine vegetarian foods, such as lentils, pumpkin seeds, walnuts, and tempeh, consider supplementing your regular meals with a delicious Triple Threat Shake with our cleanly sourced, 1000 mg of L-lysine per serving, organic IN.POWER Whey or Plant Proteins. Problem solved. Choose proteins rich in the amino acid L-glycine, such as bone broth/collagen protein (mentioned above), fish, meat, dairy, and to a lesser extent legumes, dark leafy greens, cucumber, pumpkin, and bananas. This additional glycine in your diet can help to balance out excess methionine consumption from healthy animal proteins such as eggs, meats, and poultry. Choose proteins rich in the amino acid L-proline, such as meat, eggs, fish, and to a lesser extent legumes including peanuts, chickpeas and other legumes, buckwheat, and alfalfa sprouts. Choose foods rich in iron, such as meat, poultry, organ meats, and shellfish such as clams, oysters, and mussels. Legumes and whole grain products contain some iron as well, but as you may know from reading our blogs, anti-nutrients such as phytates in plant proteins such as these can make them poor sources of many minerals like iron. Iron donates an electron to help special enzymes called hydroxylases take the first of two main steps to weave L-proline and L-lysine into collagen strands. Choose organic, grass-fed, non-denatured, concentrated protein powders. For collagen, whey, egg, or any other protein powder purchase, the same rules apply that we use for high quality meat and dairy. Choose organic, grass-fed, pasture-raised sources. Choose a concentrated non-denatured protein powder- avoid “isolates” that strip the fat from the protein and remove important immune-boosting and digestion-soothing benefits of the whey protein. As mentioned above, you can only get important liver and immune-boosting benefits of bovine serum albumin and other critical bioactive cofactors from whey protein concentrate. Looking for a good source? Our favorite protein powder is our IN.POWER whey protein. It is USDA certified 100 percent organic, non-GMO, grass-fed with year-round access to pasture and American Humane Certified- our delicious whey protein contains healthy fats, such as CLA as well as all of the other health-enhancing cofactors. Count your Collagen Separately. There are no hard numbers on this, but let us offer you a good starting point to help balance the glycine from your collagen intake with the methionine from your other protein intake: 1-2 g collagen per 10 grams of non- collagen protein. If you primarily consume animal proteins, target 2 grams. If you primarily consume vegetarian proteins, target 1 gram because they are lower in methionine. Stabilize your Blood Sugar. Chronically high blood sugar levels can damage collagen-based tissues- the structural matrix of your body (bones, muscles, joints, skin). Reduce straight sugar from processed foods and beverages low in protein and high in processed carbohydrates by choosing whole food alternatives like fruits, whole grains, starchy vegetables, and dairy. Once you are comfortable with eating less sugar, balance your sugar intake from whole foods (fruits, starches, grains, and dairy) with non-starchy vegetables such as tomatoes, broccoli, or mushrooms that are full of antioxidants, but low on sugar. STEP TWO – LIFESTYLE : Reduce damage to your skin, joints, and other connective tissues. Soothe Stress. Chronic stress and lack of exercise can also negatively affect our ability to maintain good control of our blood sugar levels. Not only does chronic stress drive inflammation, but it also depletes your body of many of the micronutrients you need to soothe that stress, stabilize blood sugar and build muscles, connective tissue, and bone. Stop Smoking. You’ve likely seen in others the damage that long term smoking does to the collagen in the skin or heard smokers complain about aching joints. Constant oxidative damage and micronutrient deficiencies driven by smoking are almost impossible to overcome, even in the most diligent eaters and supplementers. If you smoke, consider making a dedicated plan to quit. Be Smart about Sun. Sun damage is in delicate balance with sun exposure for vitamin D levels, but the amount of sunlight that helps support multiple health benefits shouldn’t need to damage the collagen in your skin and significantly increase your long term risk of cancer. For more on screening yourself from the sun smartly, read our post here. STEP THREE – SUPPLEMENTATION: For many of us, smart supplementation is the best insurance policy for healthy connective tissue, skin and bones. Mind your Micronutrients! 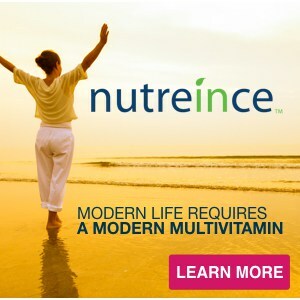 Nutreince provides beneficial forms and quantities of necessary micronutrients noted above, including vitamin A, vitamin C, vitamin B6, magnesium and many others. Whey not? 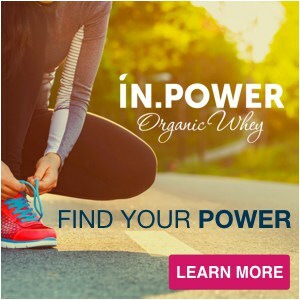 Having a high quality whey supplement available for meals-on-the-go, such as our cleanly sourced IN.POWER whey protein, can help you achieve complete protein intake throughout your day. Whey protein has the components to build collagen from its amino acid parts, such as L-lysine and L-proline, and the L-leucine to bolster tissue building. While there are other wheys to achieve adequate, complete, high quality protein intake, this time-saving high-quality option can bolster your back-up plans. If you forgo the Fish, don’t forget the Omega 3s. Fatty fish aren’t everyone’s favorite meal, some are allergic, and others are strapped for cash. There are many reasons to use a high quality omega-3 supplement instead of consuming high quality wild-caught seafood a few days per week. Whatever your reason, we don’t want you to miss out or deal with a poor quality fish oil. 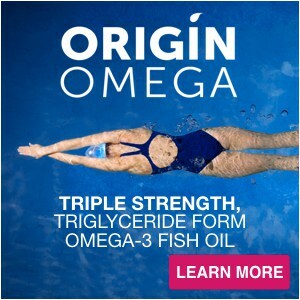 We offer you what we take ourselves- Origin Omega, a fish oil you can trust. Read more about our efforts to bring you a high potency fish oil that does its job without toxic drawbacks here. We will repeat ourselves again here to drive home our point: Your collagen protein should not be counted toward your total protein intake! Protein can build, fuel, maintain, and regulate your body- all of the major metabolic functions you need to live. But not all proteins are created equal. We don’t want you to jump on the collagen bandwagon and fall short on your essential amino acids or inadvertently increase your toxic load. We also want you to know the value of collagen and how you may be able to to combine collagen protein with other complete proteins for amazing health benefits. 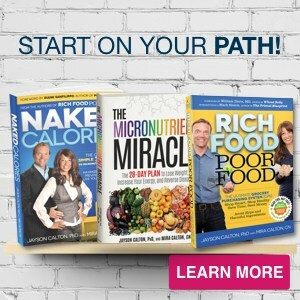 To learn more about the incredible health enhancing power of the mighty micronutrients check out our best-selling book, The Micronutrient Miracle.